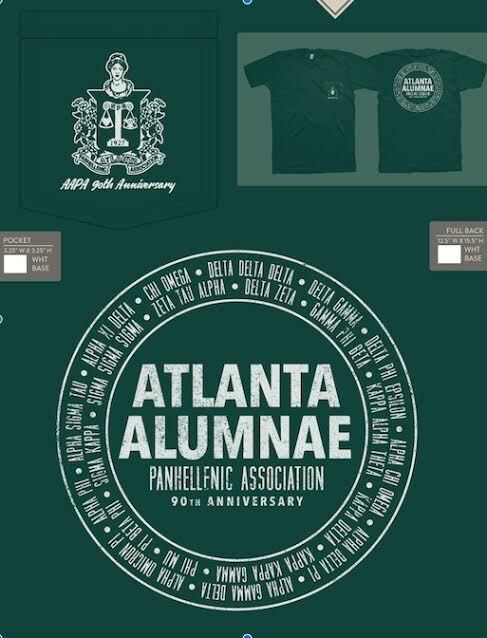 Order a commemorative AAPA 90th Anniversary t-shirt today! These t-shirts, celebrating our milestone anniversary, are dark green with white lettering and are $15 each. 40% of all sales will be donated to the AAPA Sisters for Scholars fund, which provides scholarships for deserving young women in the Atlanta area. Please contact your AAPA delegate for details on how to order.